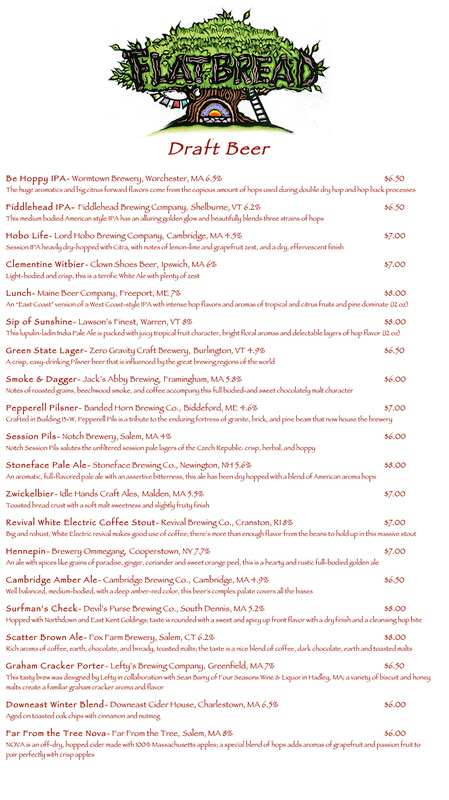 Check out the opening draft list and menu at the clay-oven pizzeria and candlepin bowling alley. By Jacqueline Cain·	 11/17/2017, 1:34 p.m. 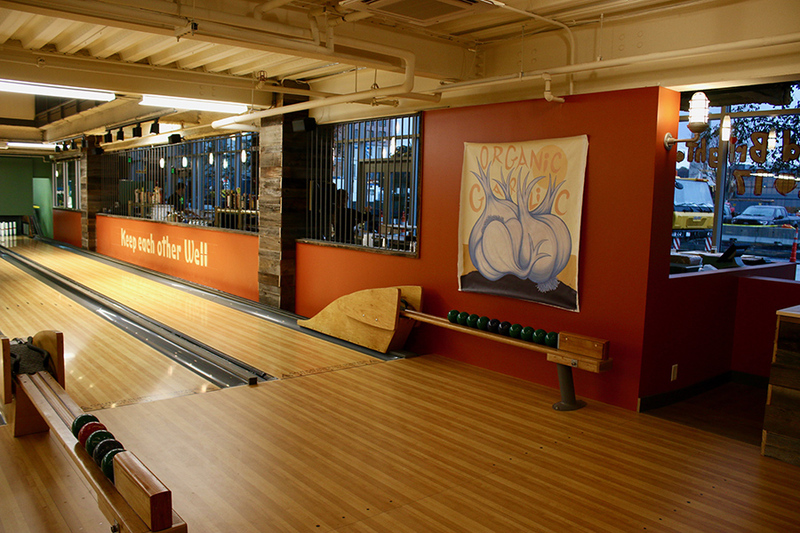 When the Sacco family approached the owners of the Flatbread Company about taking over their Somerville bowling alley back in 2010, the pizza company had no experience with pins and balls. But it did have family-friendly establishments throughout Massachusetts and New Hampshire, and saw the potential for synergy with the candlepin concept. Fast-forward seven years, and it’s proved a smashing success, says managing partner Evan Fetras—so much so that Flatbread is about to debut its third bowling alley. This past August, the company retrofitted four bowling lanes into its Salem location. This time, it built a candlepin bowling alley from the ground up as part of the new development at Boston Landing. The Flatbread Company rolls into Brighton on Sunday, Nov. 19. “The spirit of bowling is it brings people together, which goes hand-in-hand with what we do [at Flatbread] every day,” says Fetras, a who has been with the Flatbread Company since 2001. The newest Flatbread is a franchised operation. 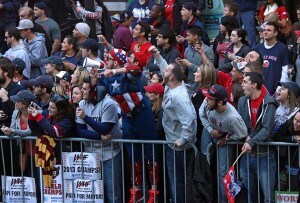 The New England company’s 14th location, it’s the first in Boston. With 12,500 square feet to work with, the NB Development property made it possible to expand the entertainment factor, Fetras says. Flatbread Brighton has been optimized for the after-work crowd and corporate groups, too. 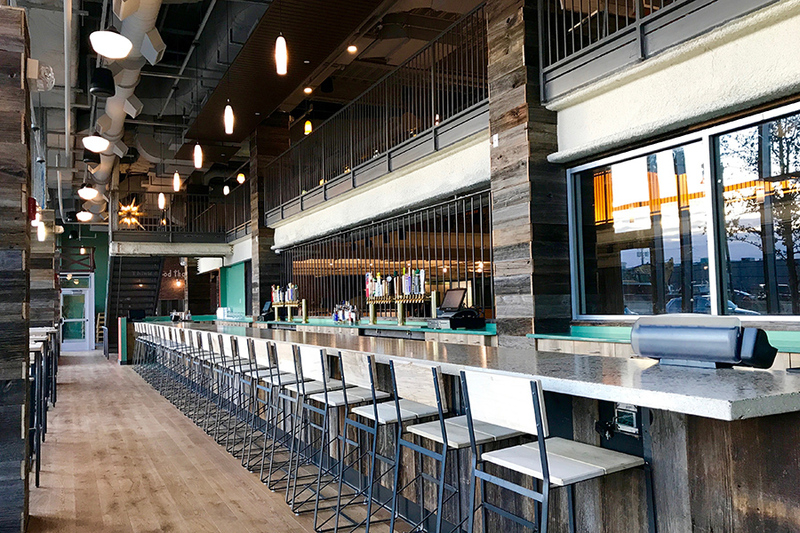 The space has two levels, with what amounts to basically a smaller version of the venue on a mezzanine overlooking the main floor, with its own bar, two bowling lanes, and seating for 80. That space is available for semi-private events of all kinds, and there’s an additional dining room on the loft with 82 seats. Downstairs there are seven bowling lanes, plus a 25-seat bar with more than 40 seats around it, and a 40-seat dining room. In the spring, Flatbread will debut a 75-seat outdoor patio. The large space features barn wood salvaged from Western Massachusetts, exposed brick and hand-painted murals by Amesbury artist Victor Deluna, and custom blown-glass lights by Hampton, N.H. artist Mike Stanek. 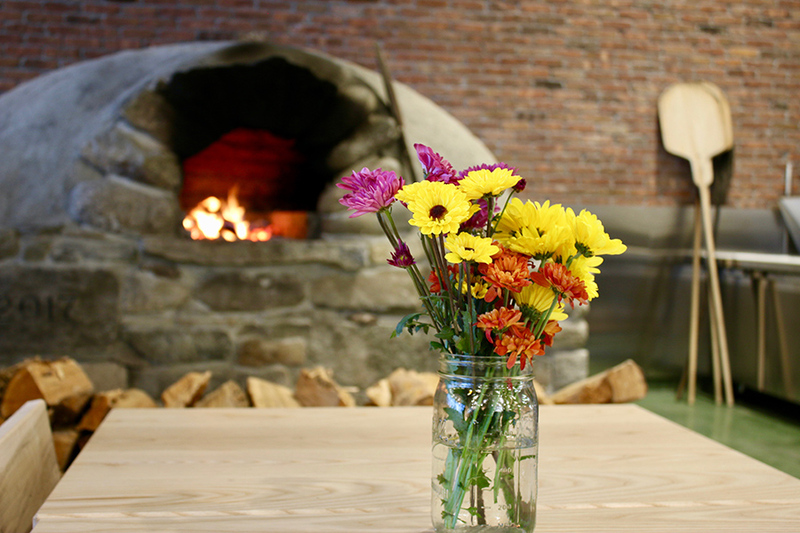 The focal point is the large, domed pizza ovens, handmade by Flatbread Company employees and volunteers using clay harvested from a river behind the original American Flatbread farm in Waitsfield, Vt. 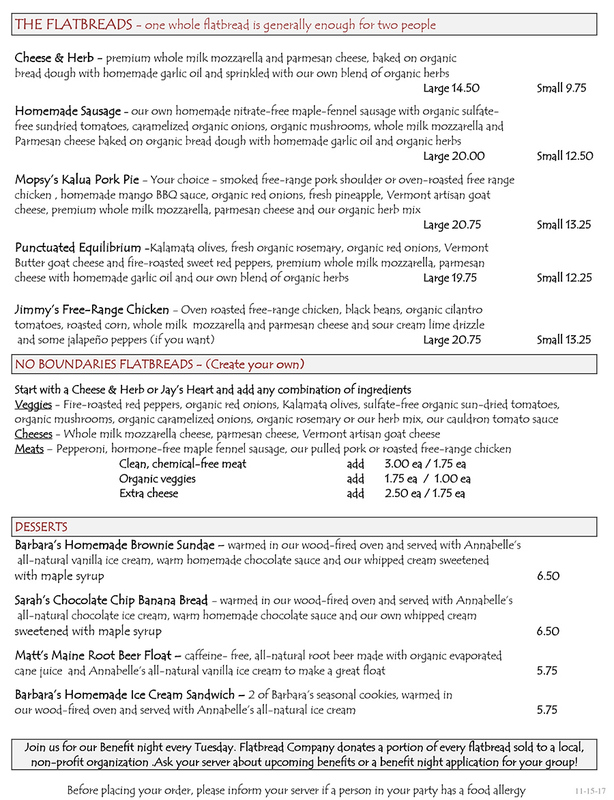 The clay ovens produce Flatbread’s entire wood-fired pizza and dessert menu—check it out in full below. While Flatbread’s sister spot in Somerville is certainly known for its beverage program, the Brighton location kicks the local factor up a notch with a cocktail menu created using only New England-made spirits from the likes of Berkshire Mountain Distillery, Bully Boy, and Privateer Rum. The 20 draft lines represent breweries throughout New England and the Northeast, including Devil’s Purse of Cape Cod, Zero Gravity of Burlington, Vt., Maine Beer Co., and more; and the wine list features 20 bottles of mainly natural, biodynamic wines. 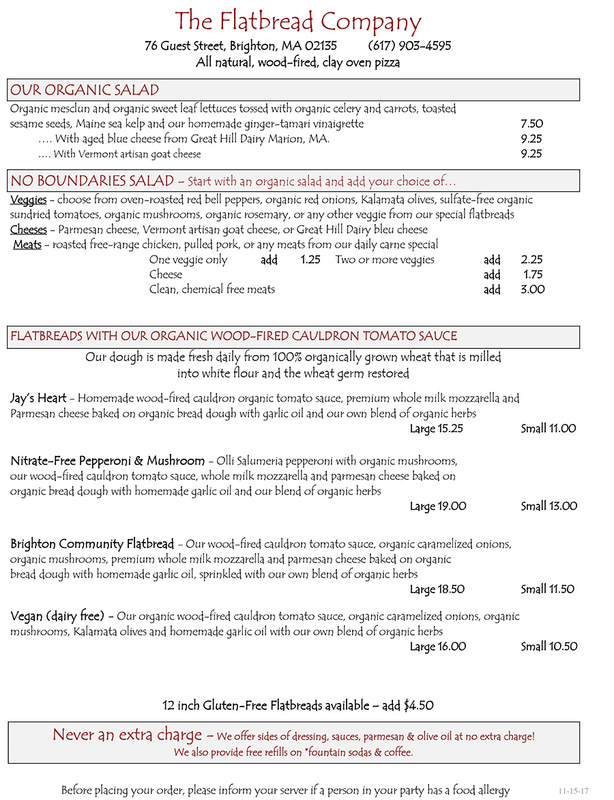 Flatbread opens Sunday, Nov. 19, at 11 a.m., and will serve food until 11 p.m. every day. The bar stays open until 1 a.m. nightly. 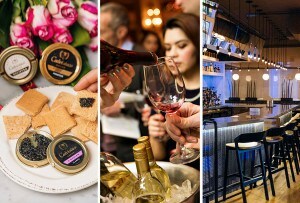 It’s located near the new Boston Landing commuter rail station, and the restaurant validates $5 parking in the 80 Guest St. garage below the Warrior Ice Arena. 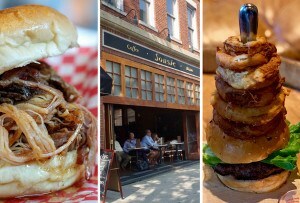 76 Guest St., Brighton, 617-903-4595, bowlbrighton.com.